In 1939, the year Marie Sgriccia graduated from high school, the 17-year-old had to wait a year before attending college to become a registered nurse because they wouldn’t take her until she was at least 18. “In those days there wasn’t very much a girl could do if she wanted a job. 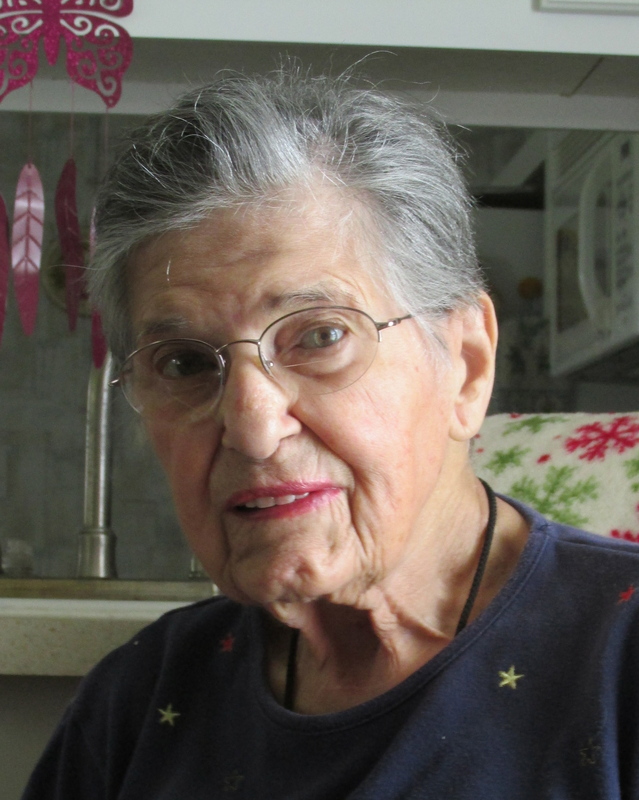 She could teach, be a secretary or go into nursing,” the 92-year-old recalled with a smile. “I got started in nursing in 1940, before the war. They didn’t think nursing was a good thing for a girl to go into. But then World War II started and then it was a different story. “I attended the Indiana Hospital School of Nursing in Indiana, Pa. with two other friends of mine. It was a three year course 24-7. We only had two weeks off in the summer, otherwise it was all nursing. I went in the nursing course in September 1940 and graduated in September 1943. “During our senior year in nursing the Red Cross came to the hospital and signed all of us up for the military before we graduated. 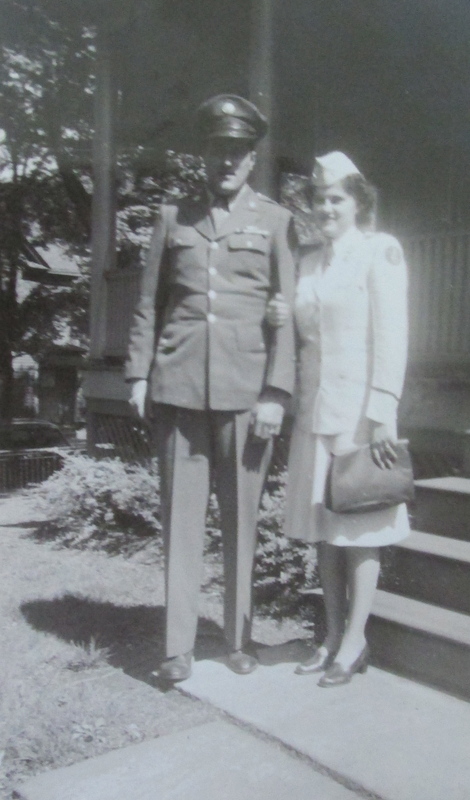 I joined the Army Air Corps as a nurse at Pittsburgh Hospital in December 1944. “That Thanksgiving, before I got out of school, my mother, my aunt and uncle visited me. On their return trip home the three of them were involved in an auto accident. My mother was so seriously injured I got a leave of absence and spent the next three months caring for her,” Sgriccia said. When she returned to Air Corps nursing, she spent all her time as a nurse on bases around the county tending to the staff and young aviators who were learning to fly planes. She didn’t tend wounded patients from the war in Europe or the Pacific. “I saw my first wounded patient when I was sent to Coral Gables to work in the Biltmore Hotel that had been converted to a hospital during the war,” she said. “They would bring them in on stretcher. Almost every night we would take some of our patients out to a restaurant or a night club to see a show. “I remember being at the Orange Bowl football game on New Year’s Day. I took two soldiers on gurneys to see the game,” Sgriccia said. The thing that made the biggest impression on her during the time she was a nurse treating war-injured servicemen in Miami was a group of young soldiers who had been POWs of the Japanese. In April 1946 she got out of the service after serving two years. The following year she married Tom, a mechanical engineer. He had been a member of the “Manhattan Project,” the top secret undertaking involving thousands of people who designed and built the first atomic bomb that ended World War II. “He worked in Oak Ridge, Tenn. on the bomb project. He never told us anything about what he did during the war until years later,” Sgriccia said. After early retirement the couple moved to Charlotte County. She now lives in Alligator Park south of Punta Gorda. They have eight children: Vicky, Thomas, James, William, John, Maria, Rita and Joseph. This story was first published in the Charlotte Sun newspaper, Port Charlotte, Fla. on Monday, July 14, 2014 and is republished with permission.